Runecast Analyzer 1.6 has been released just before VMworld US. The 1.6 version or Runecast has a new vSphere Web client plugin, new (or richier) REST API and also features security compliance standards DISA STIG (Defense Information Systems Agency – Security Technical Implementation Guide), which allows users to analyze virtual environment against these standards. For those who do not know Runecast Analyzer, you might be interested in reading our detailed review – Runecast Analyzer Product Review (Sponsored) or check out some latest articles about Runecast Analyzer which links you can find just below this post. Runecast analyzer is able to detect what’s wrong with your environment within seconds and provide you with a solution pulled from corresponding VMware KB articles. With a quick view, you can easily drill down to any part of the environment which needs attention and correct it in order to prevent failures or downtimes. You would spend a lot of time by checking manually each part of your virtual infrastructure. The product can also be configured to pull logs and analyze the logs from your virtual infrastructure. Runecast analyzer can automatically download latest upgrades and upgrade automatically. In case there is not a direct connection to the internet, there is an ISO available which you can mount to the VM and proceed with the upgrade. Runecast Analyzer 1.6 What’s New? REST API – Allows users to programmatically pull Runecast analysis results. This enables integration with other monitoring and alerting software; it also allows custom actions to be written based on the data reported by Runecast. 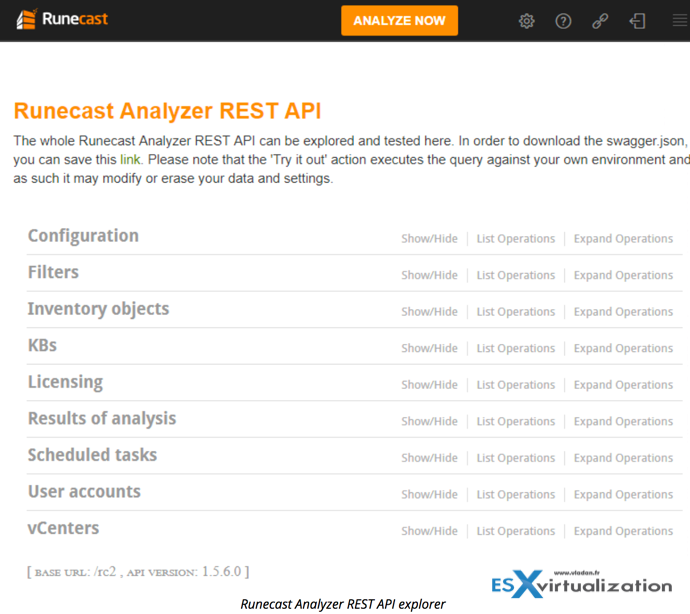 The new API also fully automates the deployment and configuration of Runecast Analyzer. vSphere Web Client plugin – Leveraging the newly released Runecast API, users can easily install a vSphere Web client plugin which will allow them to see the results of Runecast Analyzer in the vSphere Web client, without opening the Runecast Analyzer GUI. 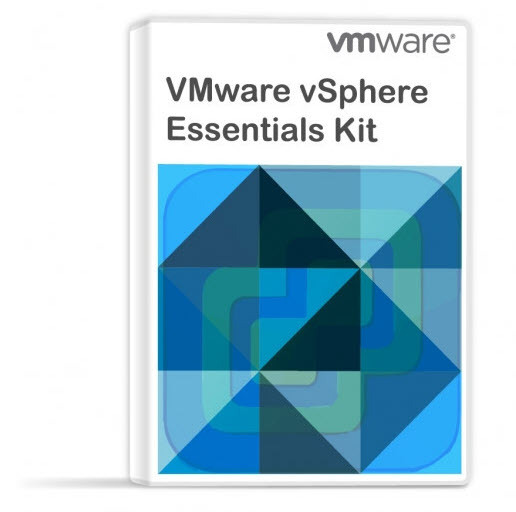 It will display issues (Knowledge Base, Best Practices, Security Hardening Guide) for each of the inventory item when explored and easily integrates with companies’ VMware management stack. Security compliance – STIG: Implementation of the DISA STIG (Defense Information Systems Agency – Security Technical Implementation Guide), allows users to analyze their environment against these standards. It was a feature requested by US Defense Agencies. Check the latest blog post from Runecast team here about their latest release of Runecast Analyzer 1.6. The REST API is richer in the 1.6 release, with adding more endpoints. (Now 44 endpoints, previous release only 5???) . Check out Runecast blog post how to get started with Runecast REST API here. Basically, each REST request against Runecast Analyzer must be authenticated. For this, an access token is required and can be generated via the user interface. You can do that through Settings > API Access tokens select Generate API access token. Provide a description (optional) and once you click on “Generate“, your access token will be ready. Copy the token. Though we introduced the REST API few releases back, we have enriched it now and you can do pretty much everything with Runecast programatically through the REST API. 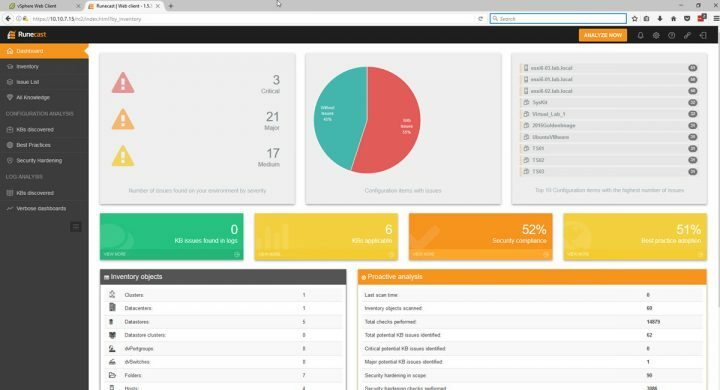 You now have all the freedom to integrate Runecast Analyzer with the rest of your system management tools. I encourage you to explore and test all REST API endpoints in your Runecast Analyzer interface (under Settings -> REST API). The Runecast API reference link displays the available API endpoints you can interact with. Check it out. Go to Runecast website: https://www.runecast.biz/.